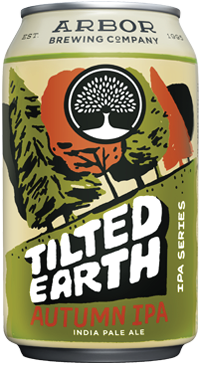 Tilted Earth Series – Autumn IPA: Our Autumn 2018 release is a Red IPA. A blend of Amarillo and Simcoe hops give this beer its hoppy backbone, with notes of stone fruit, tangerine, and a lingering woodsy finish. Toasted malts produce a beautiful red color in the glass, a nod to the changing of the leaves. Embrace the season with this Autumn IPA!